Summer fly fishing near Portland, OR has been good with the Water Time Outfitters guides chasing trout, steelhead and smallmouth bass. Summer opportunities abound for the traveling angler in the Portland area. Deschutes River trout fishing just a few hours from Portland is in summer mode with caddis hatches the main menu item for feisty, wild Redband rainbows. Meanwhile, in July summer steelhead are arriving on the Clackamas River. 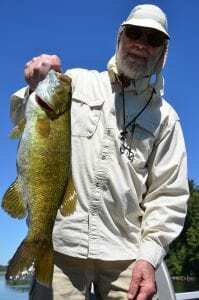 These hard fighting hatchery fish average 6-8 pounds and aggressively hit swung flies. The key here is fish early with our half day special or cloudy weekdays as the summer floaters effect the tranquilty index on hot summer days. Then, throw in hard fighting smallies on the Willamette river to round out the summer fly fishing smorgasborg just out of Portland. Our jet boats get you to quiet waters and light fishing pressure where these bass grow to grande proportions. 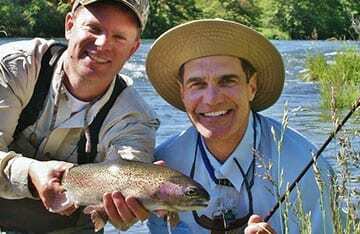 If you are looking for a summer fly fishing adventure near Portland – Water Time Outfitters guides with over 25 years experience has you covered. Call or email to set your fishing adventure- please remember we are on the water every day and response time may be slow. Rob Crandall – Water Time Outfitters, Inc.